Tonight, Saturday January 23rd, ITV1 will broadcast "The BRITs Hits 30" which celebrates three decades of the BRIT Awards by showing some memorable performances from the last 30 years. You can then vote for your favourite performance through ITV.com/brits and GM.TV. 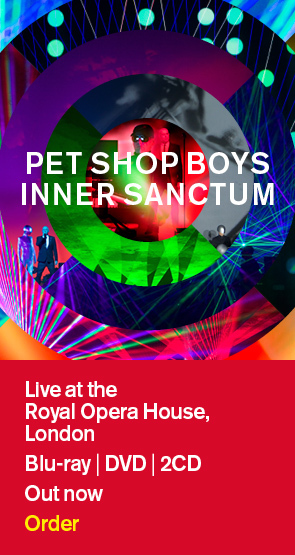 In the competition will be Pet Shop Boys' 1994 performance of "Go West" with two Welsh miners choirs and the show tonight will also include an interview with Neil and Chris. "The BRITs Hits 30" is broadcast at 10 pm tonight and the voting link below will be opened during the show. The winner will be announced at the BRIT Awards on February 16th.